The U.S. Drug Enforcement Administration has issued reprimands and suspensions of up to seven days to agents involved in the detention of a college student who was handcuffed and forgotten in a San Diego cell for five days. On April 25, 2012, Daniel Chong was discovered incoherent, delirious and suffering from kidney failure after spending nearly five days handcuffed in a DEA holding cell in San Diego without food or water. Under a legal settlement, the U.S. government paid $4.1 million to Chong in 2013. A Justice Department inspector general report last year found several DEA employees saw or heard Chong in his cell but did nothing because they assumed someone else was responsible. The DEA completed its disciplinary review in March, punishing six agents. 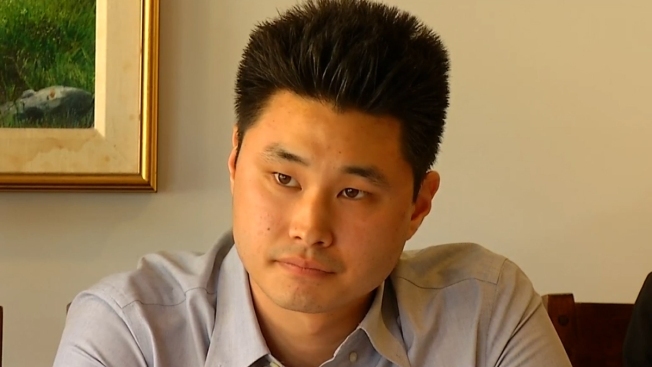 Daniel Chong, a UCSD student forgotten in a DEA holding cell for five days in April 2012 wants more answers from investigators on his case. NBC 7's Steven Luke reports on July 10, 2014. A disciplinary board, the Board of Professional Conduct, issued four reprimands to DEA agents, NBC 7 has confirmed. Another agent was suspended without pay for five days. NBC 7 has also learned the supervisor in charge at the time was given a seven-day suspension. The Justice Department says it is concerned the punishments might be inadequate and that the decisions underscore the need for a broad review of the DEA's disciplinary practices. The comments came in a letter to Republican Sen. Charles Grassley of Iowa that was released Tuesday.